In 1934, when the Chinese communists were defeated and driven out of the cities, Mao Zedong led his surviving forces on The Long March to safety in the rural hinterlands. From that distant refuge, he began rebuilding his forces. And after more than a decade of preparation, in 1949, Mao’s communists recaptured the cities, and thus the whole country of China. To the international left, that’s an inspiring comeback story. Now today, after the Democrats have lost the White House as well as the Congress, the American left finds itself out of power in Washington, DC. And yet this new crop of exiled leftists won’t have to march very far to find safe harbor; basically, they will just have to walk across the street. That is, they can find shelter in familiar sanctuaries: the media, the academy, the think-tanks, and the culture in general. It’s from these friendly sanctuaries, as Politico has lovingly detailed, that the Democrats are already plotting their comeback. And oh yes, increasingly, the left is finding a happy home in corporate America. Yes, corporate America. Yes, even corporate America in Battle Creek, Michigan. You see, the days when corporate chieftains were plump Republican harumphers, always railing against liberalism, are long over; today, the new-style CEO is more likely to be an ideological hermaphrodite, constantly groomed and loaded with talking points, ready to appear onstage at some corporate benefit or roadshow alongside Oprah or Arianna. Moreover, this new breed of CEO is probably at pains to emphasize his or her “sensitivity” to any and all issues of “gender.” Indeed, he or she is likely always willing to write a big check to politically correct activist groups (using shareholder money, of course). Given this new kind of corporate culture, it’s no wonder that during the 2016 presidential election, The Wall Street Journal surveyed the CEOs of the 100 biggest American companies, finding that while Hillary Clinton had plenty of support, none of them—zero—backed Donald Trump. Meanwhile, at a notch below the CEO level, the revolving door between the Democratic Party and corporate America is spinning rapidly. Former White House press secretary Robert Gibbs, for example, is now an executive vice president at McDonald’s. And Gibbs’ successor at the press-room podium, Jay Carney, is a senior vice president at Amazon. And former Obama campaign manager David Plouffe now has a big gig with Uber. 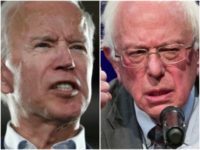 So we have to ask: Why are so many businesses hiring these big-name Democrats? What’s going on here? As Hilton’s press release details, “corporate affairs” includes not only communications and “government relations” (lobbying), but also “corporate responsibility”—that is, money for charity, which is often defined as tax-deductible gifts to leftist advocacy groups. Furthermore, we can assume that Fallon will be receiving salary and bonuses in the high six figures, maybe even seven figures. In other words, Hilton has just handed Fallon the keys to its kingdom, even though there was no political necessity to do so. So perhaps her hiring wasn’t a matter of necessity at all—maybe it was affinity. That is, Hilton actually preferred Fallon, even over a Republican who could do the company more good in a Republican-controlled Washington. So now we come to corporate America in Battle Creek, Michigan—namely, to Kellogg’s. And we might ask ourselves: What would Fallon—who worked for Sen. Chuck Schumer (D-NY) prior to her stint in the Obama White House—likely think about Kellogg’s decision, announced on November 29, to boycott Breitbart? After all, Hilton, too, is a big advertiser, and Breitbart has 45 million readers, so the question is sure to come up at Hilton HQ. Of course, we might never know what Fallon has to say about Breitbart. Yet in the meantime, we can gather clues; we know, for example, that some of Fallon’s former White House colleagues are still possessed by a strong hatred for this site. So now we are starting to see that Kellogg’s strike against Breitbart wasn’t just some goofy PR stunt; instead, it was another step in what the left and the Democrats hope is a not-so-long march back into power. Yet this latest step seems to have plunked the cereal maker into a pothole: Breitbart is fighting back. This site has launched a counter-boycott campaign that has already attracted more than a quarter-million signatories. Meanwhile, investors have been warning Kellogg’s against persisting in this course of action, even as Kellogg’s stock drops. Thus the battle is joined: #WAR. 1 — Kellogg’s attack on Breitbart is new for Kellogg, but such attacks are not new for the left. In fact, the left has long understood how to use its power within every sort of institution, including corporate America. Back in the 1930s, the Italian communist Antonio Gramsci coined the phrase “march through institutions” to describe the advancement of communism/progressivism in the West. That is, it would be cautious evolution, not violent revolution. So whereas the Chinese communists had to live off the land, in Europe and America, leftists have preferred to live off someone else’s money—and it doesn’t much matter if the money is from taxpayers, trust-funders, or shareholders. Indeed, over the decades, guided by such wily figures as Saul Alinsky, the left has refined its “entryist” tactics. In addition to leftists working their way into the corporate system—such as Fallon at Hilton—the left understands how to deploy angry protestors, determined boycotters, activist shareholders, Naderite litigators, and media chatterers to “shape the battlefield.” The results of such shaping can be profound: That is, in the midst of a leftist siege, corporate leaders—even if they happen to be Republican—come to realize that the path of least resistance is to give the left what it wants. And for the left, Kellogg’s advertising budget is merely the latest asset it has seized. 2 — Corporate America is more left than right. Okay, it’s probably the case that across the country, more businesspeople and entrepreneurs are on the right than on the left. Do you want to get out from under your public relations problem? Moreover, do you want really to bounce back—and become a hero to the media? If so, then you’d better come out strongly for left-wing causes, such as, for example, gay marriage. This is a cynical game, to be sure—but it works. Five years ago, the Wall Street firm of Goldman Sachs was still under a lingering cloud because of the Great Recession, and it was under immediate assault from the guerilla-theater crazies of Occupy Wall Street. And lo and behold, that was exactly the moment when the embattled company’s CEO, Lloyd Blankfein, announced his support for gay marriage. At that point, the media storm clouds parted; in fact, the next thing Blankfein knew, he was honored to host Hillary Clinton at no less than three different speaking engagements. Yes, that’s how the MSM’s carrot-and-stick system works. Moreover, while we’re on the subject of the Clintons, we should note that CEOs have long understood that, if they know what’s good for them, they should give generously—using shareholder money, of course—to the Clinton Foundation. 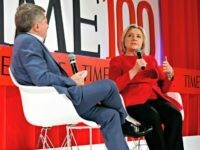 Moreover, they should hire such Clinton-connected lobbyists as Teneo or the Podesta Group. As we can see, today we no longer have the fusty capitalism of the top-hatted man on the Monopoly game cards. Instead, we have the slick optics-obsessed capitalism of such well-wired media maestros as Elon Musk and Richard Branson. And speaking of companies and the media, we all know that TV, Hollywood, and the music industry are solidly on the left. Yet it’s less understood that the meme-generating elements within just about every company this side of Chick-fil-A are totally in the hands of leftists and liberationists. And that matters, because, as the late Andrew Breitbart always said, “Politics is downstream from culture.” That is, politics is shaped by the attitudes and assumptions of the culture-creators. We regularly work with our media buying partners to ensure our ads do not appear on sites that aren’t aligned with our values as a company. We must pause to puzzle over this statement: What specific Kellogg “values” did Breitbart supposedly violate? And if Kellogg is suddenly so finicky, we must ask: Why, then, does Kellogg deign to sell its products, according to its website, in 180 countries, including China? And also, while we’re at it, why is Kellogg’s operating in such oppressive, murderous, and even genocidal countries as Saudi Arabia, Syria, and the United Arab Emirates? How do those cynical actions square with Kellogg’s values, and the values of its customers—and former customers? This might be a good time to pause and note that from 1999 to 2005, the CEO of Kellogg’s was Carlos M. Gutierrez, who left that post to become Secretary of Commerce in the Bush 43 administration, where he was a strong supporter of George W. Bush’s ill-fated immigration-amnesty proposal. Since leaving the government, Gutierrez has been ensconced at the Albright Stonebridge Group—yet another Clinton-connected DC lobbying shop. And from that posh perch, earlier this year, Gutierrez trashed Trump and endorsed Hillary. So now we might ask: How hard is it to imagine that Gutierrez, as a former CEO, might still have some influence at Kellogg’s? And how hard is it to imagine that Gutierrez harbors a strong dislike for Breitbart, which for so long has been on the barricades, fighting against the amnesty dear to Gutierrez’s heart? So now, if we put those two questions together—presto!—out comes a heartfelt endorsement of Kellogg’s boycott. 3 — The perspective of the governing elite is at variance with that of the governed population. Yet here in America, we like to think that we are one country and one people. And so when things get out of alignment, and when the affluent elite become too insular, savvy people make use of corrective mechanisms. For instance, here’s a revealing November 21 headline in The Wall Street Journal: “Advertisers Search for Middle America: Trump’s win spurs concerns that ad agencies are out of touch with consumers.” As the Journal explained, well-off ad men and ad women had been making the narcissistic mistake of believing that all their customers were like them, or wanted to be like them: “Too much advertising falsely assumes that all U.S. consumers desire to be like coastal elites.” And so to fix that problem, the smarter ad companies are now seeking to spread outside their bicoastal enclaves, so that they can stay in better touch with their customers. Still, the gap persists, and it may even be getting wider. The extreme wealth of New York City—the major citadel for Democratic money—is well known. And the other Democratic citadel, of course, is Silicon Valley and the San Francisco Bay area. In fact, if one adds the Boston area to the mix, one can account for most Democratic campaign contributions, as well as for about a third of all Democrats in Congress. They were talking to these people with companies with a $9 billion market cap employing nine people. It’s not reality. They lost sight of what the world is about. Of course, even if successful startup apps can turn a few twenty-somethings into billionaires, there are far, in fact, millions of people who are part of the overall social setting. And thus we come an important category within, or just below, the elite: We might be tempted to call it the “sub-elite,” although a more common phrase is the “New Class.” The New Class consists of well-paid bureaucrats and technocrats, of the type that abounds in Washington, DC, although they are, in fact, to be found in every big city. To be sure, these New Classers might not be billionaires, but they are well paid: Four of the five richest counties in the US are in the DC metro area. (Interestingly, one of those jurisdictions, Fairfax County, Virginia, is home to Hilton Hotels.) So even if the New Class aren’t billionaires, with their fat salaries, they are easily millionaires—especially if they own a house inside the DC Beltway. We can add: DC, this seemingly glittering Emerald City, fully paid for with tax dollars, is, on closer inspection, the swamp that Trump has pledged to drain. Let’s wish him luck! 4 — Power corrupts, absolute power corrupts absolutely. And the power of wealth, too, corrupts. The phrase “limousine liberal” has stuck for a reason: It perfectly describes the mindset that comes to someone who is insulated from harsh reality by money, flunkies, and bodyguards. Limousine liberalism is the ignorance that comes from isolation, and obliviousness makes it easy to be a liberal. After all, from the perspective of someone so protected and cosseted, how bad can, say, the crime problem be? Well, we can say this: The New Class is bad enough in its smug obtuseness, and liberal CEOs are even worse in their awful arrogance, and yet the pampered aristos of the capitalist plutocracy—oscillating between personal decadence and political guilt-trips—are the worst of all. The first thing to know about these inbred billionaires is that they get to be liberal “for free,” in the sense that they can pat themselves on the back for their “compassion,” without having to pay the taxes that liberalism imposes on the rest of us. You see, many, if not most, owners of big capital have managed to get their money offshore—and if they didn’t, their ancestors did. That was the case, for example, of “progressive” Penny Pritzker, heiress to part of the Hyatt Hotel fortune, named by Obama in 2013 to be secretary of commerce. When eyebrows were raised about her overseas billions—where the money was out of reach of the taxman, but still within reach of her—Pritzker’s defense was, in effect, that everybody does it. Or to be more precise, everybody who inherited a ten-digit fortune does it. And what was further said in her defense—that it was her parents, not she, who had stashed the cash, and that Mitt Romney did it, too—isn’t actually much of a defense. Once again, it’s easy to be a liberal if someone else pays. That’s the case, for example, of Bono, front-man for the rock band U2, now striving to win a Nobel Peace prize, or perhaps better yet, to be sainted in the church of secularism. He’s also a notorious tax-dodger, and yet most liberals don’t care, so long as the rest of us proles pay our taxes. In fact, the estimates of the total wealth, worldwide, that’s been offshored to secret bank accounts run to the many tens of trillions of dollars. But of course, nobody really knows the true amount, so we have to rely on mere glimpses of this financial funny-business. And we were recently given a peek in the form of the recently leaked Panama Papers, which further reinforced the perverse realization that tax-cheating shenanigans must be okay—although only so long as the amounts are large enough. And even more recently, relying on documents provided by an estranged ex-wife, The New York Times printed copious detail on the mostly successful efforts of one entrepreneur to hide his $400 million–all of it made just in the past two decades—somewhere in the shadowlands of financial finagling. We can add: It’s bad enough that the idle rich don’t pay their fair share of taxes, but what’s even worse is that their idleness, plus their wealth, allows them to degenerate into liberal-left nitwits and merciless green Malthusians. And so it’s a safe bet that some of the biggest owners of Kellogg’s—that is, the heirs and trust-funders playing at being Social Justice Warriors—are delighted that Kellogg’s is taking a “strong stand against hate,” believing everything that their Rasputin-like handlers are telling them about the right. Thus we see, in its awful plenitude, the full intellectual corruption of the elites, which vastly transcends the financial corruption that of course surrounds and enables them. To cite just one sorry example, there’s the Rockefeller Family. Many generations ago, John D. Rockefeller made his billions in the oil business; the largest of the many companies descended from Rockefeller’s Standard Oil is now known as Exxon Mobil. And yet today, after a century-and-a-half of living the luxe life on John D’s money, much of the extended family of trust-funders is moving to oppose ExxonMobil in the name of combating “climate change.” To be sure, today’s Rockefellers aren’t volunteering to give back any of their wealth, but they want the rest of us to live like Hobbits so that they can have a clean green conscience. 5 — The Problem of Donor Intent. It’s a familiar pattern: A mogul works hard, builds a business, and then, in a final act of altruistic generosity, leaves a giant bequest to a foundation or philanthropy. And oftentimes, the tycoon’s last will and testament stipulates that the activities of the foundation accurately reflect the values of the benefactor. And yet soon thereafter, the survivors—family members and their lawyers, plus assorted other opportunistic jobbers and hair-splitters—find a way to distort the benefactor’s wishes. And so it was, for example, that Henry Ford, an arch conservative, inadvertently ended up endowing the left-wing activism of the Ford Foundation. To cite another instance, it’s not likely that Will Keith Kellogg, who died in 1951, would have wanted his money to go to George Soros and the Tides Foundation—but that’s where it’s going. Nor is it likely that Kellogg would have wanted the W.K. Kellogg Foundation to hire staffers who pile praise on Fidel Castro–but again, it’s too late. Old man Kellogg is dead, you see, and yet his namesake foundation lives on, albeit probably doing the exact opposite of what the donor intended in his bequest. 6 — Activism can be a good business—or worse. As the 20th century philosopher Eric Hoffer once observed, every new entity starts out as a crusade, becomes a business, and then turns into a racket. And so it is with social-justice warrior-ing. You see, not all of the nation’s politically correct comrades are rich—some of them have to “work” for a living. This new kind of career-category was visible in the “astroturf” protestors, funded by George Soros, who suddenly appeared in the wake of the recent unrest in Ferguson, Missouri, where the hireling thugs proceeded to make all the problems worse. And the same Soros signature has been evident everywhere since the recent election. Some, like Randi Harper, receive thousands of dollars a month for mission statements as vague as “creating online activism” while they spend most of their days on Twitter belittling gamers and arguing with video game peripheral manufacturers over innocuous tweets. So looking ahead, don’t be surprised if activists suddenly appear to support Kellogg’s, to protest Breitbart—or both. All it takes is money, and the left has plenty of that. Ever since the heyday of Ralph Nader in the 1960s, the left has turned litigation into a kind political combat; indeed, there’s now a useful term for it: lawfare. Every time you see a left-wing lawyer working judges and the courts to achieve some political objective, that’s domestic lawfare. Yes, every lawsuit that lets criminals go free, every consent decree that forces governments to spend more money on some PC program, every threat of legal action that forces a small town to take down its Christmas tree—that’s all lawfare. So who pays for lawfare? Chances are, you do. That is, the law-warriors might be receiving payments from some non-profit or donor, in which case we are all chipping in with the tax-subsidy. Or perhaps these lefty legal entrepreneurs are operating “on the come,” hoping to win a fat contingency fee. Or maybe they simply work for the government. Perhaps the most egregious example of lawfare has been New York State Attorney General Eric Schneiderman’s multi-state effort to loot billions from the same ExxonMobil—once again, for the same “good cause,” “climate change.” Schneiderman seems to have lost the first round, but without a doubt, he and his government lawyers, plus activist allies, will be right back at it soon enough—the money is irresistible. So don’t be surprised if some courtroom cossack tries to sue Breitbart. Now the reader might ask: On what possible grounds? The answer: Who knows? And yet it’s likely that some leftist somewhere will think of something, if only to grab a headline or two. 8 — Digital Media is especially susceptible to leftist penetration. Anyone who reads Breitbart—anyone who reads, period—knows all about liberal bias in the media. And the same with TV. Yet as bad as that bias might be, at least it can be seen. That is, when The New York Times, or the Bezos Post, or George Stephanopoulos, commit their familiar atrocities against fairness, we can all easily detect it. But now there’s a new kind of bias: online digital bias. And that’s much harder to detect, because it can’t be seen. That is, the Internet surfer is not likely to know about what’s not shown on the screen—in other words, what’s been made to disappear by an algorithm. This digital bias is at the heart of the current Main Stream Media-propagated debate over “fake news.” In the MSM’s relentless telling and retelling, “fake news” is the unique product of “right-wing fever swamps,” including, of course, Breitbart and other carriers of real news. For openers, there’s the remarkable case of Reddit, which was supposed to be an absolute free-speech haven. Yet Reddit seems to have used sneaky algorithms to suppress conservative thinking, and more recently it has engaged in some astoundingly un-sneaky censorship: An actual person—the CEO of the company, no less—has personally been doing the thought-policing. All the facts aside, the MSM has its solution at the ready: make the “fake news” disappear. And this can be done, of course, by jiggering the algorithms at Google, Facebook, and other big digital companies. News accounts of this sort of subtle bias are almost too numerous to chronicle, but here’s a start, for both Google and Facebook. In fact, it’s Facebook, which has eclipsed Google as the single most important news hub, which now finds itself under particular pressure to “do something” about right-tilting content, or, as the left prefers to call it all, “fake news.” And of course, in the collective mind of the left, to “do something” means finding a way to suppress non-leftist thinking. And all the lefty pressure on Facebook, overt and covert, seems to be having its desired effect. Just on December 2 came this headline: “Facebook working on a plan to pick news from favored media partners.” Ah yes, “favored media partners.” It doesn’t take a genius to figure out where right-of-center media would end up under that system—although it would take a steamshovel to uncover it and actually see it. Meanwhile, the left, making its neo-Gramscian “march through the digital institutions,” has scored some substantial successes: On November 23, AppNexus, a New York City-based digital advertising network, announced that it was blacklisting Breitbart. To be sure, a few plucky rival companies, such as OpenX and Pubmatic, have jumped into the vacuum, proclaiming their iron-clad determination to keep advertising free and open, and that’s heartening. Virgil has no reason to doubt the sincerity of these brave corporate players, but, as we have seen, the pressure from the left to censor the right is relentless. So it will take a lot more than earnest protestations to protect free speech; it will take, in fact, an enormous technical sophistication on the right to verify each and every promise of algorithmic fair play. 9 — Crony Capitalism isn’t just about making windfall profits—it’s also about naked political power. For a long time, the political right has understood that governments can be oppressive. And in addition, the right has further understood that when governments and corporations get in bed together, the resulting “crony capitalism” can be costly to both consumers and taxpayers. Yet now the right must come to a further realization: Crony capitalism can deprive the people of more than money; it can deprive them of their freedom. And in the course of this suppression of liberty, companies can be just as guilty—or even guiltier—than the government. To be sure, it’s almost always the government that has the muscle and the weapons to put the literal iron in the iron fist. So as a result, some conservatives cling to the view that it’s all the government’s fault—that companies are blameless in the actual oppression. And yet that view is naive, because in a complex economy, governments rarely act alone. They almost always act in cahoots with some private interest, however parasitic. We are all familiar with the efforts of solar-panel makers to legislate and litigate a cheaper alternative—that is, hydrocarbon production (oil, natural gas, coal)—out of existence. And yet such political action is almost benign, compared to what’s been happening in the American West, where private investors have been actively colluding with the Obama administration and other Greens to push ranchers off their land by force. It’s a brutal, even deadly process, as Virgil has detailed here, and here. Today, it’s giant corporations, as much or more than the government, that have been acting as “progressive” thought police. And yet these corporate bigs insist that they aren’t technically censoring anyone, because they’re not a government entity; it’s the state that’s silencing the voices that they don’t want heard. Yet when corporations control all the platforms necessary for speech, the stifling effect on an individual’s free speech is nevertheless the same, whether it comes from a private entity or a public entity. We might recall, for example, what ESPN did to baseball legend-turned-sportscaster Curt Schilling. And it all happened to Schilling without any of the usual-suspect self-declared champions of the First Amendment batting an eyelash. Yet while the PC left was cheering Schilling’s dismissal, too many on the right failed to comprehend the full implications of the sacking: Namely, that an attack on free speech is an attack on free speech, period. And the source of that attack, public or private, is less important than the attack itself. 10 — And so the populist-nationalist right must think hard about needed reforms. If corporate America is just as capable of crushing the individual as is the government—and indeed it is—then conservatives need to rethink their overall strategy. That is, it’s not enough to keep an eye on Uncle Sam, it’s also necessary to watch out for the Fortune 500. And of course, the myriad “lawfare” groups, starting with the highly weaponized ACLU, also should to be watched closely. Of course, no single citizen can keep track of all these threats to freedom, let alone stand up to them. And so at some point soon—like now—it’s going to take political action to put a stop to these corporate encroachments on our privacy, our autonomy, and our dignity. Yet in the meantime, many Americans on the right have tended to think of the private sector as an ally against the public sector. 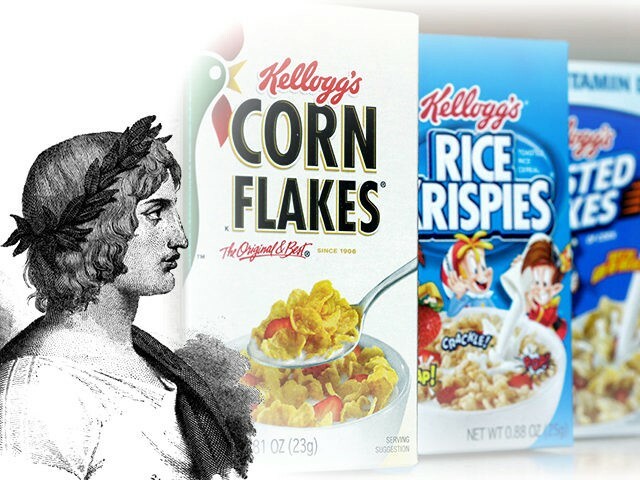 But as we have seen, that view has now been overtaken by events: If the left can gain control of Kellogg’s, sitting out there in the middle of Michigan, it can gain control of anything. Thus the right needs to reassess its stance in regard to private power. As Lord Palmerston, the 19th century British prime minister, once put it, Nations don’t have permanent friends or enemies, they have permanent interests. In other words, when the situation shifts, our approach must shift. And so what, specifically, to do? Perhaps we need new legal protections for our data, so that our most personal information cannot be sliced, diced, and monetized by app-happy billionaires barely old enough to shave. Furthermore, perhaps we need to take a closer look at some of the sources of corporate power. For example, there’s the Supreme Court’s 2010 Citizens United decision, which unleashed a seemingly unlimited flow of corporate campaign donations; at the time of the ruling, most conservatives hailed it as a victory for “free speech.” And yet now that we’ve seen what companies such as Kellogg’s choose to do with their corporate speech, perhaps it’s not such a good idea to give them the unchecked power to try to buy elections. Yes, Kellogg’s politically and ideologically motivated attack on Breitbart has opened a lot of eyes. And so we on the right shouldn’t close our eyes, or avert our gaze, until we have fully comprehended the radically changing politics of corporate America. And then we must act accordingly.